Photographer Tasos Markou will exhibit his collection of photographs at The National Hellenic Museum in downtown Chicago through 2019. He will speak to the crowds on Sat., June 23 at 2 to 4 p.m.
“LIVES AFLOAT: The Greek Refugee Crisis through the Lens of Tasos Markou 2015-2017” is a photographic exhibit that represents the Greek Refugee Crisis and the National Hellenic Museum newest exhibit. The June 21 opening coincides with World Refugee Day, a date set aside every year on June 20 to recognize the plight of refugees around the world. Tasos will present a program at the museum about his efforts to aid refugees in Greece on June 23 and throughout 2019, his exhibition will be supplemented with public programming, docent-led tours, and invited speakers to help raise awareness about this crisis, and the fate of refugees across history. 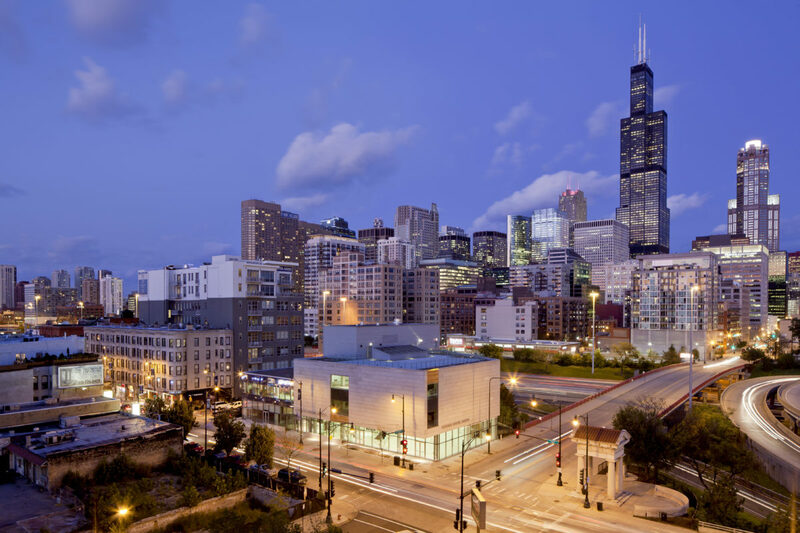 The museum is located at 333 S. Halsted St., in downtown Chicago and its mission is to collect, preserve, and portray the legacy of Greek history and culture in America. Inside its walls, visitors will find the largest collection of more than 17,000 Greek American artifacts and recorded oral histories spanning thousands of years. Laura Calamos Nasir, Ph.D., National Hellenic Museum president said the museum is so important to be telling of the Greek Refugee Crisis with its own exhibition. “It is crucial for the National Hellenic Museum to address recent history and portray the effects the crisis has had on so many. Using photos to tell the real story of a crisis impacting the Greek community, and indeed millions of lives, we aim to encourage people to learn more by seeking good sources of information, to gain more perspective and to develop a greater understanding of what is happening in the world, whether in the past or in current events. Visitors are invited to consider ways to get involved by learning more about the impact of nonprofit organizations and how effectively they directly impact people’s’ lives,” she said. The number of refugees pouring into Greece by early 2015 had dramatically increased to hundreds of thousands of men, women, and children. Many of them fled their home countries, attempting to reach Europe over land and by sea and most were fleeing violence, war or persecution, and more than a third were escaping the Syrian Civil War. Unlike economic migrants, refugees are forced from their home by threat of harm and unsafe conditions. The museum exhibition team utilized evidence-based reports and data from the United Nations High Commission for Refugees (UNHCR) to compile data about the refugees. Admission to The National Hellenic Museum is adults $10, seniors $8, students $8, and children 3 to 12 years are $7. Children under 3 and members receive free admission. The museum is open Tues.,, Wed., and Fri., from 11 a.m. to 5 p.m., Thurs. from 11 a.m. to 8 p.m., and Sat. and Sun. from 11 a.m. to 5 p.m.
For information on the Lives Afloat exhibit or other programs, membership, special events, facility rentals, or giving, please visit www.nationalhellenicmuseum.org. This entry was posted in Art and Travel, Art Exhibits, Art Museum, Chicago Art Museum, Uncategorized and tagged Arrivals Waiting and Borders, Greek Refugee Crisis, Laura Calamos Nasir, Lives Afloat Exhibition, Ph.D., Tasos Markou 2015 2017, The National Hellenic Museum, World Refugee Day. Afrocentric Art, Travel and Style!